In honor of the holidays, I decided to skip my Friday Weekend Deal’s post and give you another holiday guide instead! I figure with everyone starting to do their shopping, this guide might be more helpful. We all know a few people (or at least one) that throw the BEST parties! They have the best set up, perfect food, the table settings and glasses are amazing, and on and on. I’m definitely NOT that person in my group of friends, but I have several girlfriends who are! Show me love by sharing this! 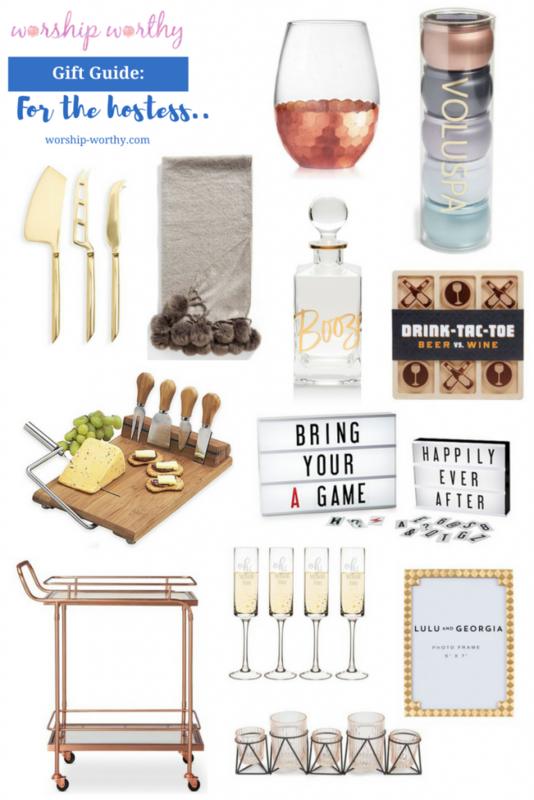 Get the Worship Worthy digest delivered to your inbox every week! Copyright © 2019 Worship Worthy. Powered by Rockstar Digital.